Few destinations evoke romance quite like Los Cabos, from secluded beaches and swaying palm trees to breathtaking sunsets over Land’s End at the southernmost point of the Baja California peninsula. Despite the jaw-dropping surroundings, however, cape cities Cabo San Lucas and San José del Cabo didn’t really begin to emerge as popular getaway destinations–and favored sites for destination honeymoons, weddings, anniversaries and renewal of vows ceremonies–until the region’s signature resorts and businesses committed to pairing the sunshine and natural splendor with a magnificently over-the-top collection of pampering romantic amenities. Decadent Roman emperors of days gone by would be abashed–chastened, even–by the unending procession of rose petals, Champagne and chocolate covered strawberries now seen on a daily basis in Los Cabos. The most aphrodisiac-like amenities of them all, however, are the delightfully sensuous couples-oriented massages and romance rituals offered by the region’s best spas. Suzanne Morel Face & Body Care certainly qualifies for the latter list, thanks to a talented and experienced staff, and a mobile spa service that allows her hand-picked team to deliver relaxing and romantic ministrations in a wide variety of picturesque places. Since Valentine’s Day is coming soon, we’re unveiling our lovers-friendly February special. 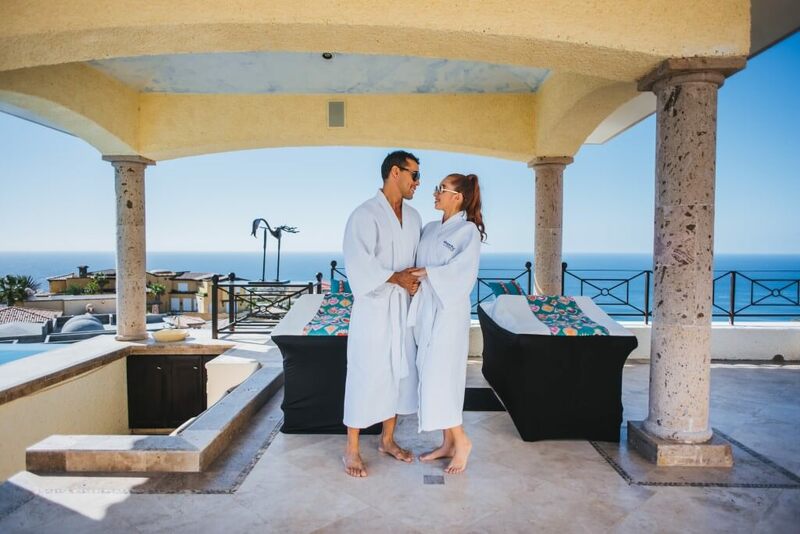 We can’t promise it will lead to a proposal or a second honeymoon, but we can guarantee it’ll be the best gift the two of you share this Valentine’s Day, and that it’ll deliver a romantic spa day in Cabo San Lucas that neither of you will ever forget. You’ve heard the expression “a deal you can’t refuse?” Our February special is one you won’t want to refuse, a gloriously romantic 60-minute couples massage done with orange-infused aromatherapy oils, and topped off by a beautiful red rose and an assorted box of chocolates for your true love. Is there a better or more appropriate gift for Valentine’s Day? Here’s the best part. 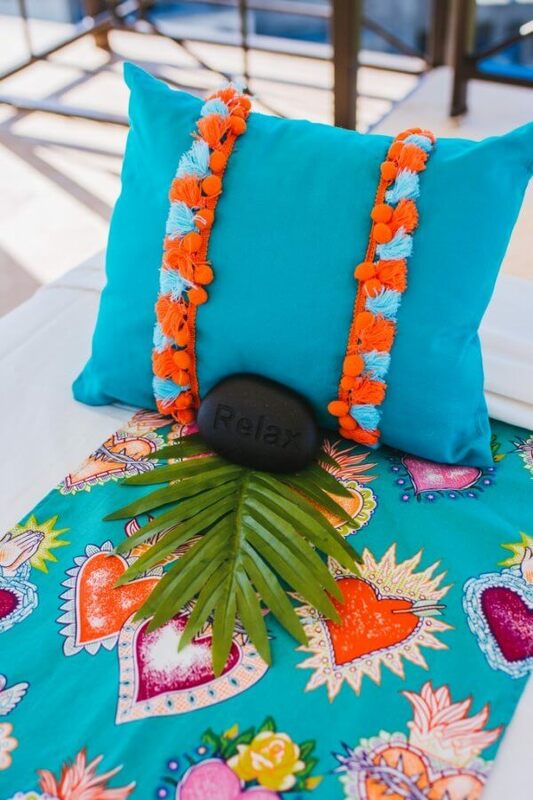 Suzanne Morel Face & Body Care also happens to be the region’s best mobile spa, meaning we bring this romantic spa day in Cabo San Lucas to wherever you are in the area, or wherever you want to be. 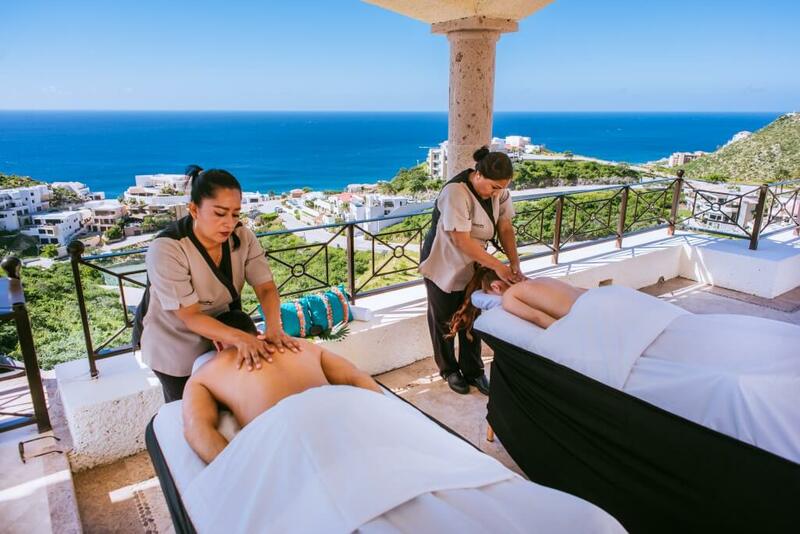 Dreaming of side-by-side massages on the terrace of your cliffside rental luxury villa overlooking the Pacific Ocean? We’ll be there. Prefer your romantic couples’ ritual poolside at your resort or condo? No problem. On a secluded beach? We’re on the way. Trust us. Not only is this the best $195 dollars you’ll ever spend, it’s a bargain at the price, which just happens to be marked down $30 dollars from our regular rate. Convenience is the first word many people think of when it comes to mobile spas, and with good reason. You don’t have to go anywhere–meaning no worries about transportation, traffic and travel times–and you can pick a time that works perfectly within the context of your plans for the day. Perhaps your romantic spa day in Cabo San Lucas is merely prelude to a romantic five-course dinner at a moonlit table in the sand, or a sunset sailing tour on a luxurious yacht. It’s not just convenience that distinguishes mobile spas, however, but privacy and total control of the spa environment. That p word, privacy, cannot be stressed enough. One of the central requirements for romance is intimacy. When you conjure a romantic image, say walking hand-in-hand or horseback riding on a golden sand beach as waves lap gently at the shore, it’s a sure bet there are only two of you in the vision. You’re not dreaming of pushing or cantering your way through a crowd of revelers at a noisy oceanfront beach club or cantina. But control, too, is an important part of the equation. You as a couple get to choose both the setting and the ambiance. Is there a particular song or music mix you prefer for romantic moments? Are you partial to sunshine and sea breezes, or do you prefer a climate-controlled indoor environment with aromatherapy candles and other mood-enhancing elements? When it comes to mobile spas, you make all the calls. It’s an experience custom-tailored to the unique desires of you and your significant other. We mentioned privacy as a prerequisite for intimacy, but there is also another necessity: trust. You can’t fully relax and enjoy the delicious experience of a shared massage without trusting the people who are providing it for you. 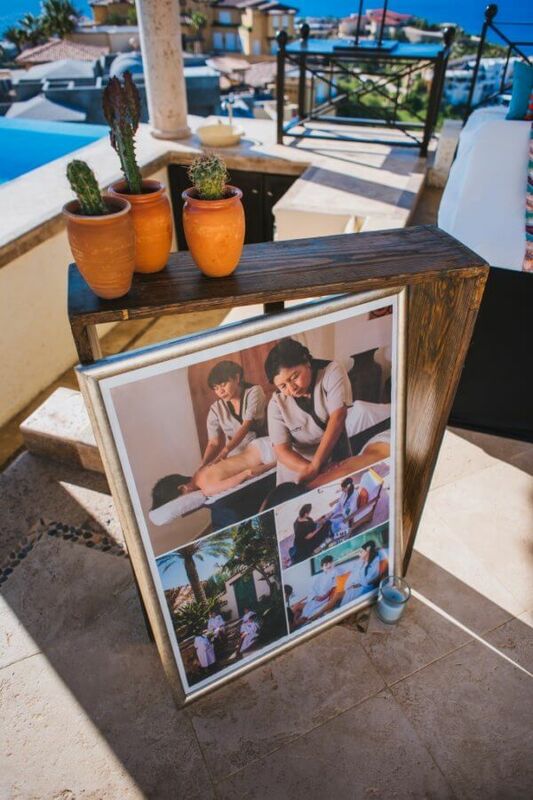 Luckily, SMFBC boasts the best massage and beauty specialists in Baja, a highly skilled, accredited and insured team trained by none other than Suzanne Morel herself. Scion of a family of beauty salon owners, Suzanne Morel owned her own salon and successfully launched her own line of cosmetics before moving to Cabo San Lucas and becoming the owner of the region’s premier mobile spa and bridal care business, as well as the premier wedding planning and design and décor firms (Creative Destination Events and Cabo Linens, Things & More, respectively). Hers is a name you can trust, in other words, and The Morel Companies as a brand have become virtually synonymous with romance in Cabo San Lucas. Ready to Reserve Your Special Romantic Spa Day in Cabo San Lucas? Call us today from the U.S. or Canada at (619) 819-9180, from México at (624) 105-1670, or email us for reservations or for additional information at spareservations@suzannemorel.com. The promotion is valid until February 28, 2019, so don’t worry if your travel dates don’t perfectly align with Valentine’s Day. 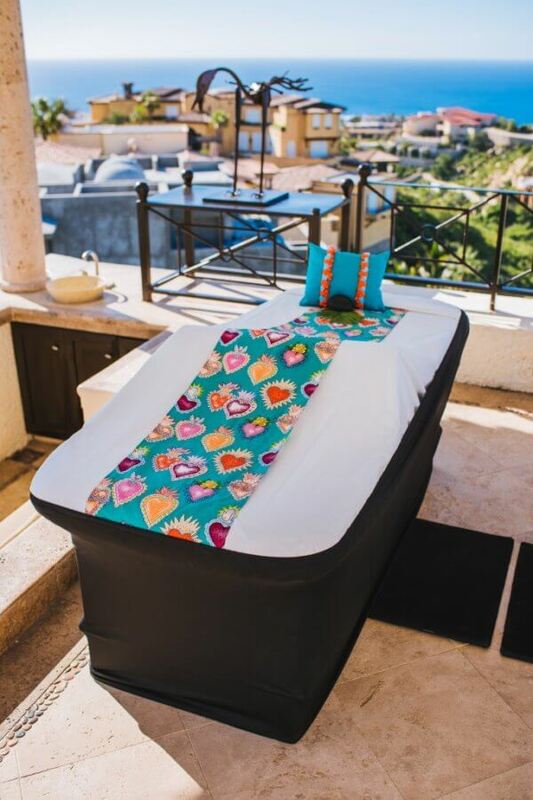 If you arrive anytime in February, your romantic spa day in Cabo San Lucas will be waiting for you, courtesy of Suzanne Morel Face & Body Care. This entry was posted in Blog and tagged Cabo San Lucas, Enjoy a Romantic Spa Day, Monthly Special, Romantic Spa Day in Cabo San Lucas.